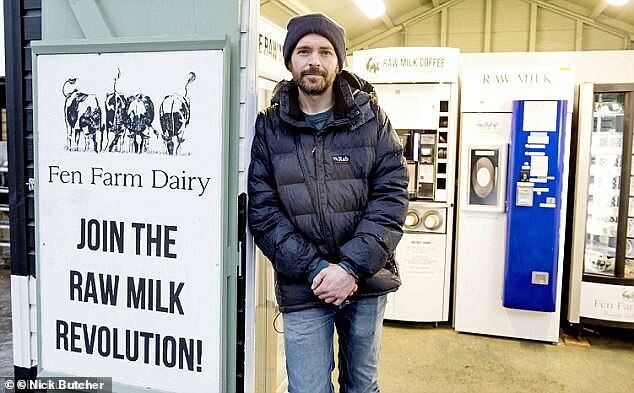 Militant vegans have pledged to expose the ‘dirty business’ of dairy farmers as they publish the names and addresses of farmers in England and Wales. The map has been published listing the details of dairy farmers just days after a similar stunt by Animal rights group Aussie Farms in Australia. The interactive satellite map of 6,000 farms down under has caused nationwide fury. In the UK, Project Calf has now done the same, urging vegans to ‘document, protest and expose’ the actions of dairy farmers as they call for the end of meat eating in the UK. The activists who said 24 male calves are killed every hour are asking people to ‘obtain footage’ and confront farmers using public footpaths through farms. The map shows the locations of hundreds of farms and names their owners. However, farmers fear protests will be disruptive while their supporters said the action will ‘destroy people’s livelihood’. Commenting on the map, one woman said the vegan plot was ‘absolutely scandalous’. Sally Reedman whose farm is listed said she plans to give any visitors a tour so they can get industry facts. She said: ‘It’s absolutely disgusting- the website is full of incorrect facts too. Our oldest cow is 18! 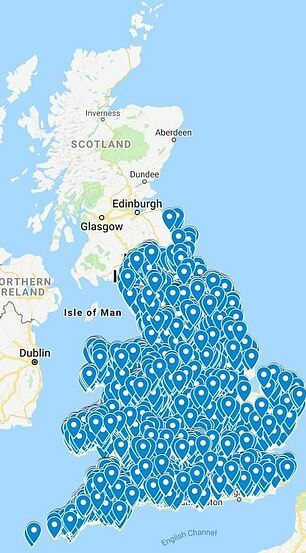 We are on the map and b***y locals in the village sharing the FB page and the website into local spotted and selling sites. ‘Cheers for that, make us a target. ‘We’ve decided if any come round they can have a welcomed guided tour – nothing to hide – we don’t kill bull calves or sell them to market (they go to a local farmer who keeps them as fat beast), our cows are all of a good age, they don’t go into calf until they are 2 and have 18mths out to grass before joining the milking herd, our girls come to us for cuddles and are all happy and well. Project Calf calls for vegans to take part in ‘direct action’ via ‘citizen journalism, peaceful protesting and outreach’. In advice included on the site, people are told no to co-operate with police and to give ‘no comment’ if stopped and questioned by officers. The website states: ‘Locate a dairy farm using our maps. Using public footpaths, obtain the footage of the cows and separation pens. ‘Talk to the farmers about dairy practices. Recently, farmers have received death threats from militant vegans. One farmer revealed last year how his family were targeted by activists. 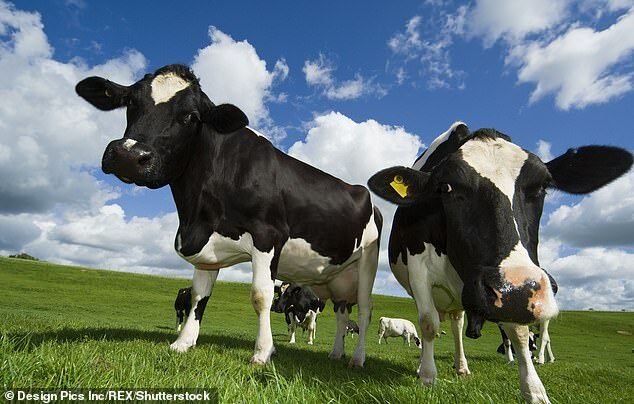 Jonathan, 37, and Dulcie Crickmore, 35, who run Fen Farm Dairy in Bungay, Suffolk had ‘five solid days of death threats’ after he posted a picture of his new triplet calves on Facebook. The vegans became enragedin February 2018 after seeing a post about the eco-friendly couple’s new calves – and even targeted their two young children. It comes in the context of increased threats by vegans, with one trainee farmer Alison Waugh telling how protesters had called farmers ‘murderers and rapists. 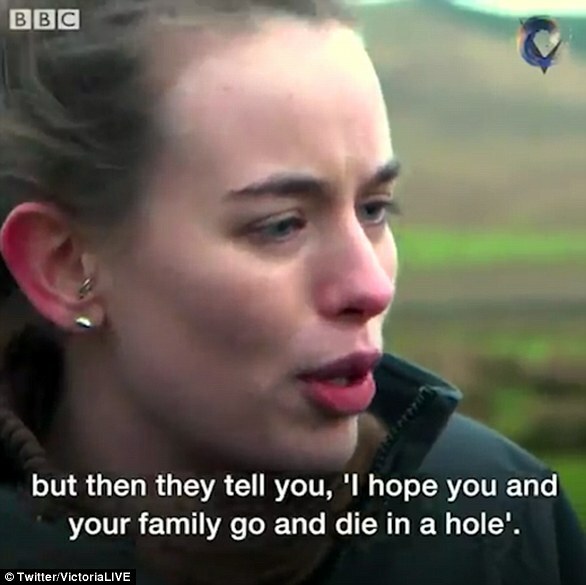 Death threats to farmers by militant vegans have been on the rise in recent weeks. Protesters have also trespassed and vandalised farms with graffiti. Threats from activists are becoming such a problem that the Association of Independent Meat Suppliers has met counter-terror police to plan a response. Pig farmers have reported being woken up at night by activists, and battling vegan activism is one of the National Pig Association’s priorities for 2018. There are only 542,000 vegans in the UK, according to the Vegan Society, but many are now choosing to put pressure on both consumers and farmers. On Wednesday, a militant vegan campaigner tore into Jeremy Vine on his BBC Radio 2 show for his ham sandwich lunch made ‘from the flesh of a dead pig’. Former convict Joey Carbstrong, 31, an Australian vegan activist with tens of thousands of followers, lectured the presenter for the sandwich on the table. The vocal campaigner from Adelaide is currently touring the UK and Ireland because he has an ‘obligation’ to convert meat eaters to veganism. Alison Waugh, a trainee farmer from Northumberland, spoke this week about protesters vandalising farms using graffiti and making their lives difficult. She also told the BBC’s Victoria Derbyshire programme about the irony of those who claim to love animals and peace to make death threats.